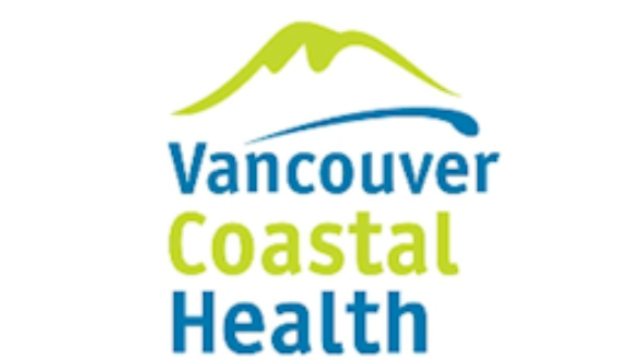 Vancouver Coastal Health (VCH) delivers services to more than 1 million BC residents living in Vancouver, Vancouver’s North Shore, Richmond, the Sea-to-Sky Corridor, Sunshine Coast, Bella Bella, Bella Coola, the Central Coast and surrounding areas. The remarkable range of jobs & specialties places VCH at the forefront of career destinations for Registered Nurses, Sonographers, Social Workers, Physiotherapists, and many other health care professionals. Our amazing jobs, workforce, and remarkable organizational culture ensure that VCH is always promoting better heath for our communities through innovation and exceptional care. Come join our team! We currently have an opportunity for a Mental Health Emergency Services Nurse (RPN RN) in the Psychiatric Emergency Assessment & Triage (PEAT) at Vancouver General Hospital located in Vancouver, British Columbia. Within the context of a client and family centred care model and in accordance with the British Columbia College of Nursing Professionals (BCCNP) standards of professional practice and Code of Ethics for registered nurses or registered psychiatric nurses, and the established vision and values of the organization, provides psychiatric care to clients that includes assessment, crisis intervention and stabilization, care planning and short term community case management and outreach. Provides liaison support for patient care and patient flow between the program, Emergency Department, the Psychiatric Inpatient Unit, first responders and community providers. Provides input into the care of psychiatric patients awaiting transfer for further assessment or inpatient admission. Provides emergency mobile crisis response as required; facilitates immediate hospital or detox facility admission if deemed necessary; initiates and participates in case conferences and case management meetings; prepares and maintains client records; and provides consultative and direct services/care to clients, families, community health professionals/agencies, law enforcement, physicians and Emergency Room staff. Participates in team meetings, continuing education, conferences, and/or corporate initiatives and engages in on-going team planning, development, evaluation and quality improvement activities. Diploma in Nursing or Psychiatric Nursing, three (3) years’ recent related experience providing treatment services to individuals with mental health issues, or an equivalent combination of education, training, and five (5) years’ of Acute Mental Health experience. Valid BC Driver’s License. Local area travel will require the use of a personal vehicle. Broad knowledge of nursing theory and practice within a client/family centered model of care. Broad knowledge of BCCNP standards for nursing/psychiatric nursing practice. Broad knowledge of mental illness and treatment. Broad knowledge of substance abuse and addictions treatment. Broad knowledge of psychotherapeutic and counseling skills. Broad knowledge of family systems theory. Broad knowledge of community mental health services, resources, and referral procedures. Basic knowledge of legislation and government policies and procedures that relate to client. Demonstrated ability to conduct mental health status exams and risk assessments, and provide treatment planning and crisis intervention. Demonstrated ability to apply knowledge of theory and practice to a case management process. Demonstrated ability to communicate effectively, both orally and in writing, with clients and their families, colleagues, physician, and other health care staff, both one-on-one and in groups. Demonstrated ability to establish workload priorities and to adjust schedule to deal with unexpected situations. Demonstrated ability to work both independently and collaboratively as a member of a multidisciplinary team. Demonstrated ability to deal effectively with conflict situations. Demonstrated ability to operate related electronic equipment. Basic computer literacy to operate a computerized client care information system and word processing, spreadsheet, Internet and e-mail software. Only short-listed applicants will be contacted for this posting. Thank you for your interest in Vancouver Coastal Health.